This is me at my day job! 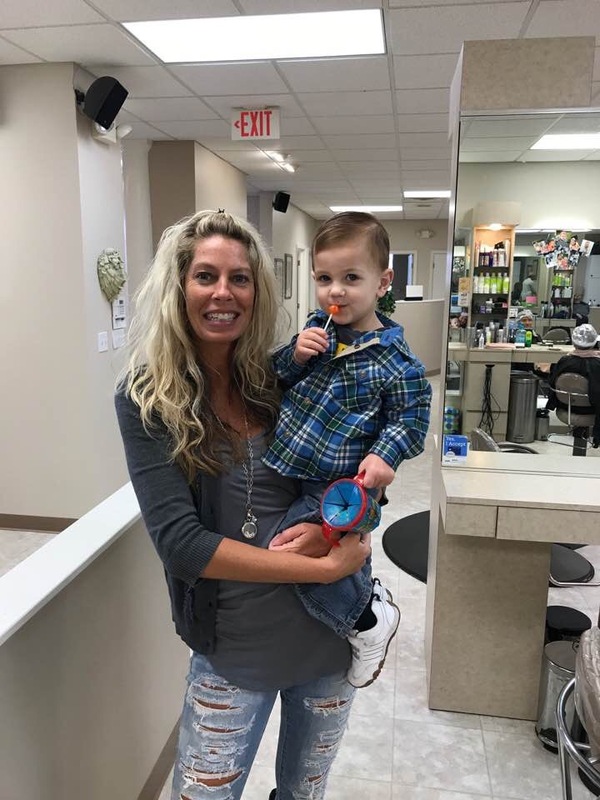 I got to cut this little mans hair for the first time yesterday. I wanted to share with you what I do on a daily basis, so you can see me in my normal environment! During the day I get to make people feel beautiful. It was this very job that brought me to writing a blog, and inspiring you. I’ve had people tell me for years that I should become a therapist or a life coach. So I finally decided to listen to them, and take another chance on myself. My goals are not to become rich and famous, but to change the world, one heart at a time. When I first began this journey I employed the help of a coach to grow online, but it turns out that their goals and my goals were not inline. I remember him saying to be “Tavia, if it’s not about the money then what else is it about?” I should have known right then, that this was not the guy for me. But here’s the thing, meeting him was not a bad thing. It was a lesson learned. I learned who I don’t want to be on the internet. I learned a lot about what people say online versus who they really are. And I also learned that I don’t want any part of that. I am going to run my business the honest way. I am going to attract real authentic people to me, because those are the kind of people that I want in my life! I am going to make a difference in this world one day at a time. I choose to be the light and the love. I choose to help people help themselves. I choose to be a part of an authentic business that stands for something, and one that changes lives. I’ve learned a lot about myself during this journey and I’m guessing there’s still more to come. I hope that I inspire you daily and that I’ve helped bring some awesomeness into your life! I hope that you have an amazing weekend and that you also choose to put some kindness into the world. Comment with your favorite emoji if you like my page and my stories!